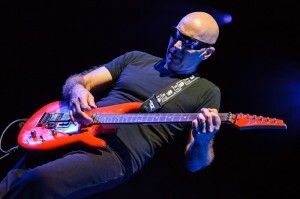 Coming Up: Joe Satriani at The Majestic Theatre - North Texas Live! NORTH AMERICA DATES IN 2016 ARE VERY SPECIAL “SURFING TO SHOCKWAVE” EVENINGS WITH JOE FEATURING A RETROSPECTIVE OF HIS CAREER W/ SONGS NOT PLAYED LIVE IN OVER 20 YEARS! Joe Satriani is the world’s most commercially successful solo guitar performer, with six gold and platinum discs to his credit. His 15th studio album, Shockwave Supernova, is already being hailed as yet another creative breakthrough – this for a guitarist who has routinely topped guitar magazine polls since the release of his first full-length album, Not Of This Earth, in 1986. As a live performer, Satriani has toured the world with each new release. In 1996 he founded the multi-guitarist traveling experience called G3, which has seen him share stages with Steve Vai, Eric Johnson, Yngwie Malmsteen, Robert Fripp, among others. 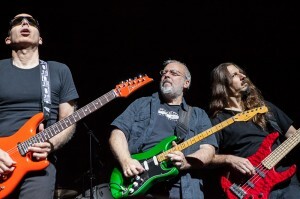 And starting in 2009, Satriani traversed the globe again as a member of Chickenfoot, which also includes singer Sammy Hagar, former Van Halen bassist Michael Anthony and Red Hot Chili Peppers drummer Chad Smith.